Hello again, and welcome to my final blog entry for HKDCS – my internship has sadly come to a close, but I have learned so much and have so many positive experiences to take away from it, that I’ve left Hong Kong happy and grateful to have been part of the research team. My previous two posts covered what is involved in the day-to-day life of working as a research intern with the society and all the interesting, challenging and educational experiences I had, on land and at sea. 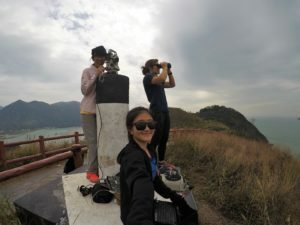 Over four months, I have certainly broadened my understanding of what is involved in cetacean conservation, and I now have a much firmer appreciation of the challenges faced by scientists and conservationists working to protect Chinese white dolphins and finless porpoises in Hong Kong – something I will be focusing on here. One of the first challenges in protecting these beautiful mammals is that we simply don’t know enough about them. It is not yet clear exactly what their numbers are, nor the size of their full range, given that their territory is not limited to Hong Kong waters and extends throughout the Pearl River estuary and beyond. Where finless porpoises are concerned, we know even less, as they are such shy and elusive animals. In order to advocate for the conservation of a species, it’s important to be able to monitor just how significantly our activities impact its survival and that’s why research is so important. 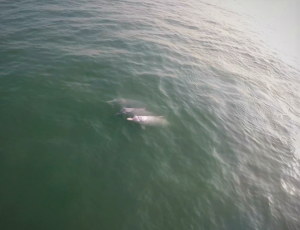 HKDCS have been building a picture of Chinese white dolphin population, range, behaviours and habitat use for more than a decade, and have gained significant insights into the ways in which these dolphins have responded to the behaviour of humans in and around their habitat. 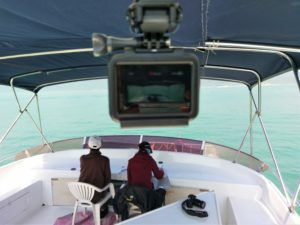 It’s vital that research organisations like HKDCS are able to continue their work to monitor cetaceans so that they can identify what can be done to ensure the long-term viability of Hong Kong’s marine mammal populations. Another hurdle faced in marine conservation is raising public awareness. 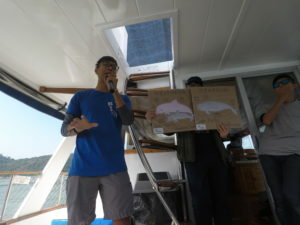 Many people in Hong Kong are familiar with the ‘pink dolphins’ that can be seen breaching and leaping out of the water near Tai O, but not everyone understands the threats faced by these animals and how our actions have a definitive impact on the health of ocean ecosystems around us. It’s important that people know about the relationship between humans and marine wildlife, and how many problems we’re responsible for. 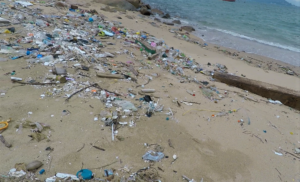 Using plastic bottles, plastic bags and drinking straws and discarding them carelessly has contributed to terrible levels of plastic pollution along the shores of Hong Kong’s many islands. 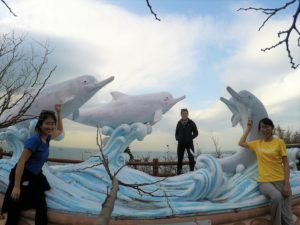 Visitors to Hong Kong will often use the Tai O speedboats to go dolphin watching, even though these can be disruptive to the dolphins and especially their calves. Intensive fishing in nearby waters can damage their habitat, drastically reduce the numbers of their prey, and entangle dolphins and porpoises themselves in nets and ropes, injuring or even killing them. Hong Kong has some of the busiest waterways on the planet, with shipping, ferries, construction works and pleasure boats creating incredible levels of acoustic disturbance that interferes with cetaceans’ ability to navigate and communicate. 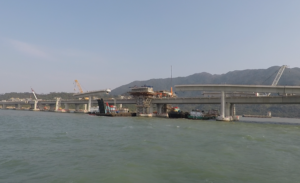 There are also numerous building projects which reclaim land from the ocean, such as the Hong Kong Airport Third Runway, permanently removing significant areas of dolphin habitat in these waters. There are so many issues we need to be aware of before we can begin to tackle their impact. Highlighting all of this to the public helps to increase pressure on authorities and decision-makers to adopt more environmentally-considerate legislation, protecting Hong Kong’s dolphins, porpoises and their marine environment. It’s important to balance conservation needs against economic interests (such as intensive fishing, high speed ferries, shipping and construction) – such concerns are often given priority, but going forward the scientific and conservation community needs to continue finding ways of giving conservation a level footing with these interests. So, what is HKDCS doing to help reduce these threats, and how can we all contribute? Well, besides the all-important research carried out by the HKDCS team, they are conducting public education campaigns distributing information on protecting the Chinese white dolphin and finless porpoise; they regularly give talks and demonstrations at schools all over Hong Kong; they carry out public protests at the mistreatment of dolphins and at the construction of the third runway; they host education days on board the research vessel, inviting members of the public aboard to learn more about cetacean conservation in Hong Kong, and they have also organised beach clean-up events to tackle the problem of pollution. 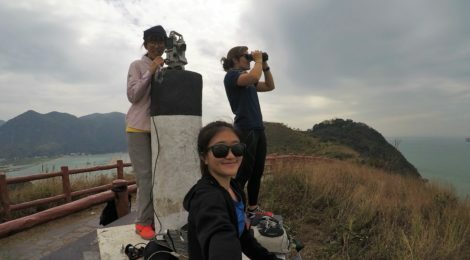 Members of the public can get involved in these clean-up events, follow HKDCS on Facebook and Instagram, join the research team for a survey out on the boat, or even become a HKDCS Dolphin Ambassador to learn all about dolphins in the wild and in captivity and host activities around Hong Kong. We should also reduce our consumption of single-use plastics and other pollutants, avoid spending money on captive dolphin shows or unethical dolphin-watching trips, and try to highlight the importance of conservation to all our friends and family. I am truly proud to have been a part of HKDCS’ vital work in Hong Kong and to have worked with such a fantastic group of researchers. I hope that some of you reading this with an interest in protecting the territory’s wonderful marine life do go out, make your voices heard, and join in the work of dolphin and porpoise conservation in Hong Kong.